Independent label of The Knitting Factory club. 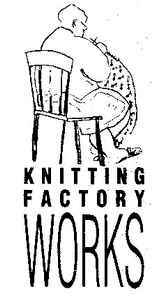 Knitting Factory Works changed to Knitting Factory Records in 1998. Distributed in Germany by EFA until early 2004.